Blue Stars: June 18, 2011 in Saginaw, TX (64.75) Bluecoats: June 18, 2011 in Saginaw, TX (68.90) Phantom Regiment: June 18, 2011 in Saginaw, TX (69.95) Carolina Crown: June 23, 2003 in Sevierville, TN (59.90) The Cavaliers: June 18, 1999 in Oswego, IL (69.10) The Cadets: June 14, 1997 in Toledo, OH (66.70) • Not since the 2008 World Championship Finals has Phantom Regiment finished at an event with a placement higher than either the Cavaliers or Carolina Crown. 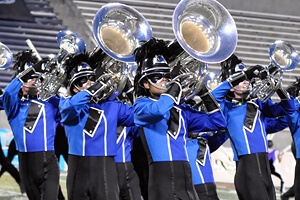 Regiment accomplished that Saturday scoring 0.65 above Crown and 1.75 above the Cavaliers. 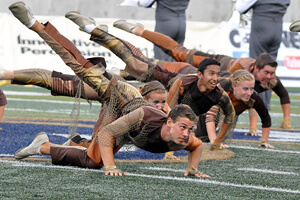 • The Cavaliers, who took 5th at Saturday's season-opening event in Akron, have finished lower than third place in their first contest of the season only four times since DCI's founding in 1972. 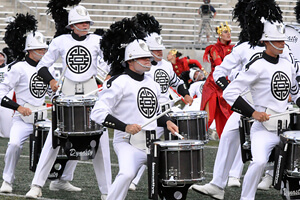 Over those 40 years, the corps has never finished lower than fifth in its first show, which last happened on June 14, 1974 in Milwaukee. 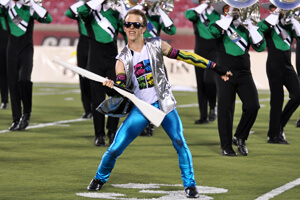 That day the Green Machine scored behind the Phantom Regiment, Kilties, Blue Stars and Madison Scouts. The Cavaliers would end the summer of '74 in eighth place at the DCI World Championships in Ithaca, N.Y. • Carrying the momentum of their 2011 successes into the first event of 2012, last season's Jim Ott Best Brass Performance caption award winners Carolina Crown took first place in brass, the Cavaliers, who were 2011 Fred Sanford Best Percussion Performance caption winners took first in percussion, and the Cadets who were 2011 Donald Angelica Best General Effect award winners took first in the overall GE caption on Saturday. 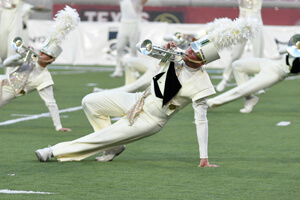 Friday, June 22 Madison, WI Clovis, CA Saturday, June 23 Woodbury, MN Orlando, FL Stanford, CA Sunday, June 24 Sacramento, CA Sioux Falls, SD View the complete 2012 DCI Tour schedule.